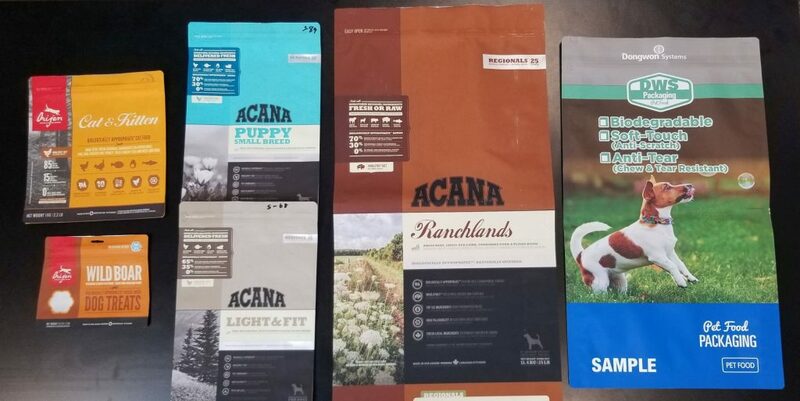 Your flexible food packaging and pouches will be printed to your exact specification with the highest standard of printing used ensuring your packaging is ready for the shelves and your customers. Pet food packaging require packaging material that protect content and provides convenience to customers. We provide everything from tear-tab, leather pattern printing techniques, and anti-forgery patterns. Pet food packaging products are manufactured at a state of the art factory with scientific quality control, and the absolute highest quality materials but at incredibly competitive rates for both the US and Canadian Market.